Half Hitch Gin is a popular Craft Gin available from Amazon.co.uk in 70cl to buy online. Visit Amazon.co.uk for the best price for 70cl of Half Hitch Gin or compare prices on our other Craft Gin products. Hits of light citrus and fresh Bergamot, rich Black Tea and Woody Spice followed by a spicy underpinning of fresh cracked Pepper and cool Juniper. Nose: Lifting and aromatic with immediate hits of light citrus and fresh bergamot, followed immediately by a spicy underpinning of fresh cracked pepper, cinnamon and cool juniper berry. Palate: Spicy notes of bell pepper and juniper meet citrus notes of sweet orange, nutmeg and a rich black tea. Hints of woody spice, touches of bitter lemon and a slight grassiness clears out the top with the smallest touch of tannin. Finish: Long and lingering with touches of dried hay, cinnamon, black pepper, hints of eucalyptus and fresh lemon zest. 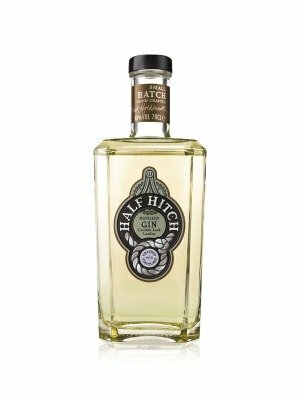 Where to buy Half Hitch Gin ? Half Hitch Gin Supermarkets & Stockists. You can buy Half Hitch Gin online in most retailers and find it in the Craft Gin aisle in supermarkets but we found the best deals online for Half Hitch Gin in Amazon.co.uk, DrinkSupermarket.com, TheDrinkShop, and others. Compare the current price of Half Hitch Gin in 70cl size in the table of offers below. Simply click on the button to order Half Hitch Gin online now.